These purple furry monster hand covers are a must have for your monster costume! 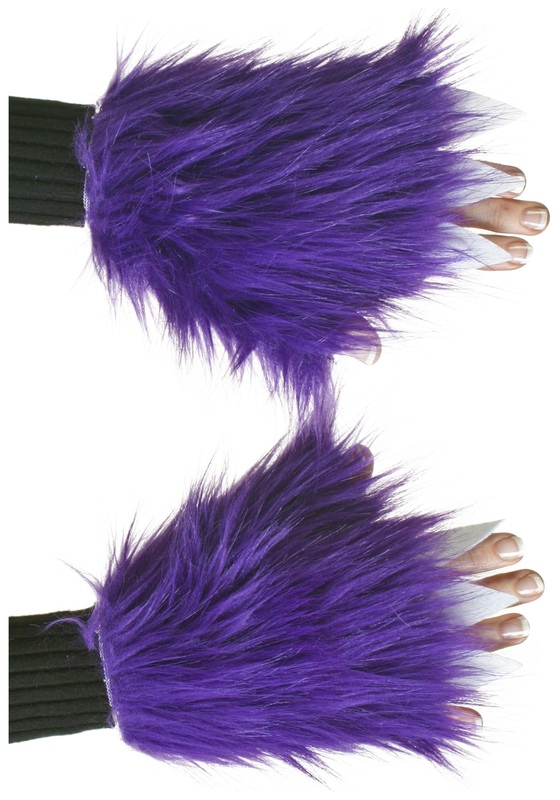 These cozy hand covers are covered in purple fur on the top of your hands and have white, felt claws that stick out the end. The underside consists of dark purple felt with a large opening for your fingers and an opening for your thumb as well. These monster hands are available in a variety of colors and also come in a child size!